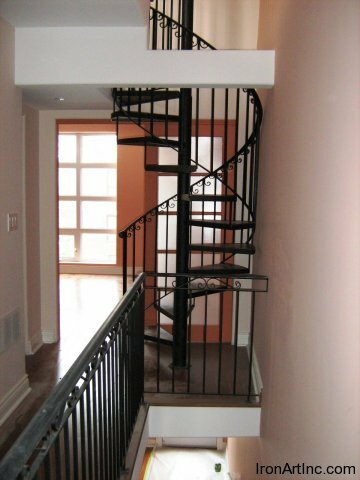 Bring your unique style to the next level. 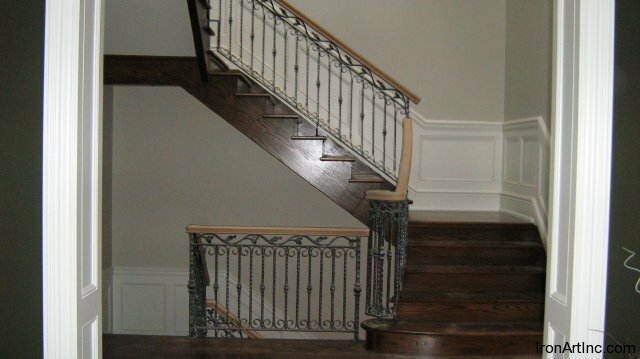 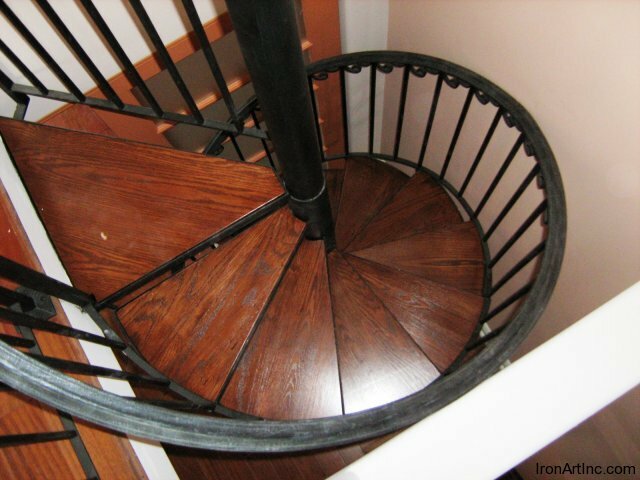 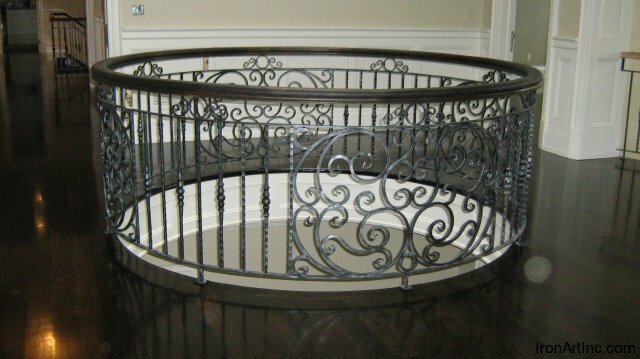 A custom-designed ornamental iron interior railing, staircase or spiral staircase adds a sophisticated focal point to your foyer or reception room. 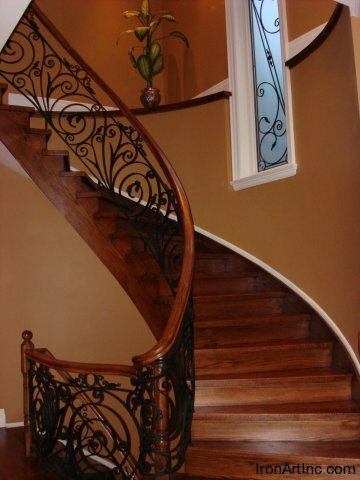 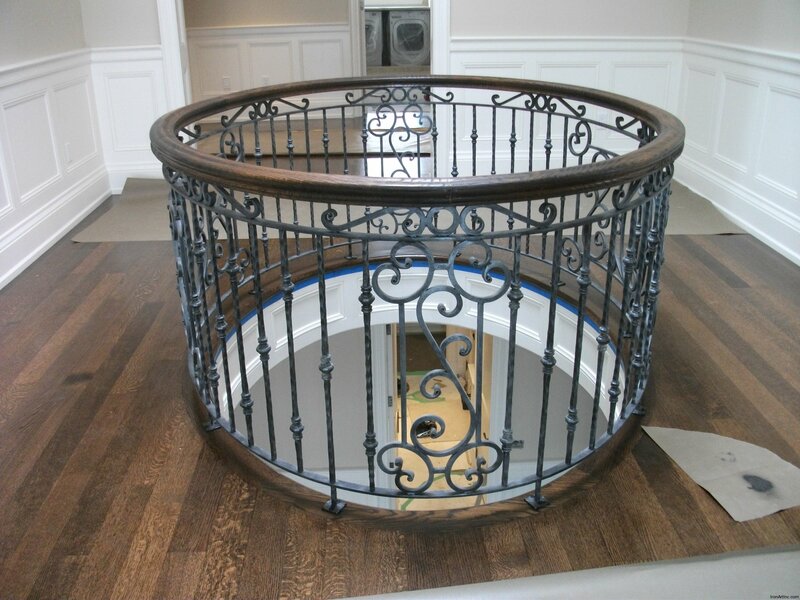 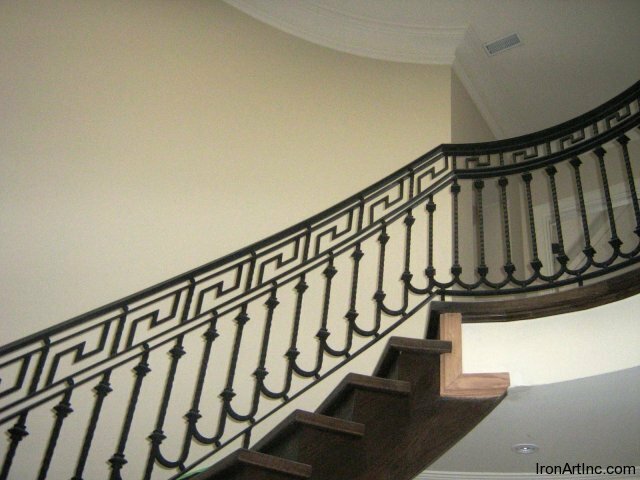 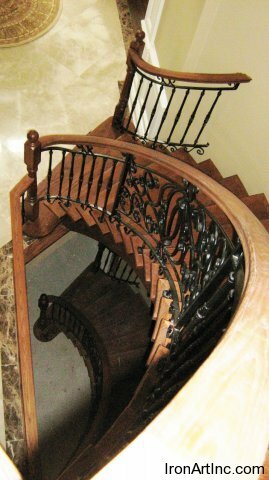 As the flexibility in design options are endless in comparison to traditional wood railings and banisters, Iron Art can create hand-forged rails that are unique to your living or office space, adding originality, strength and beauty to stairs and landings. 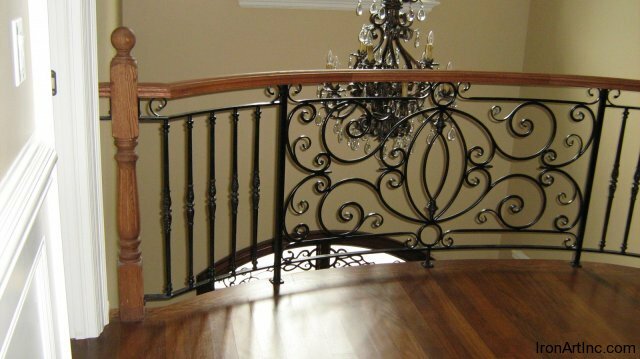 Working totally in wrought iron or in combination with your existing wood stair rails, iron railings can be crafted not only in black but in a variety of colours. 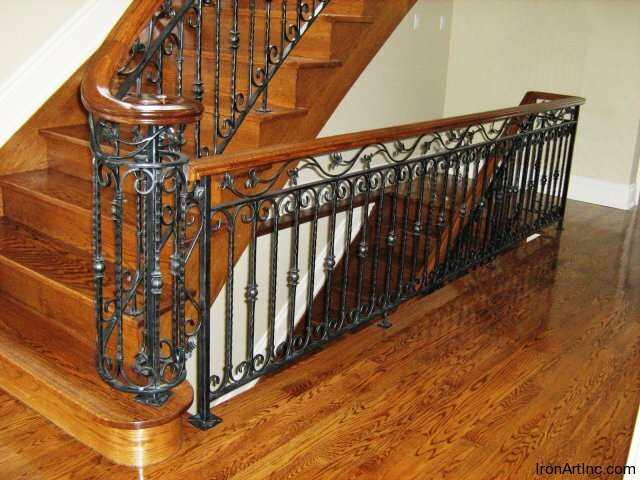 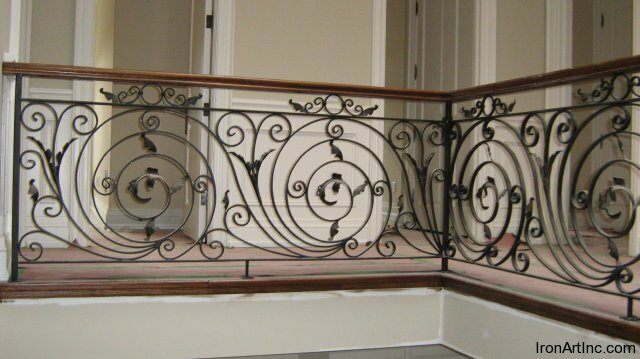 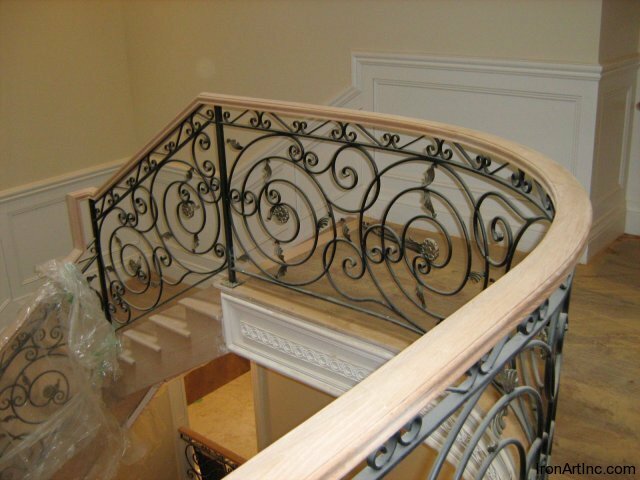 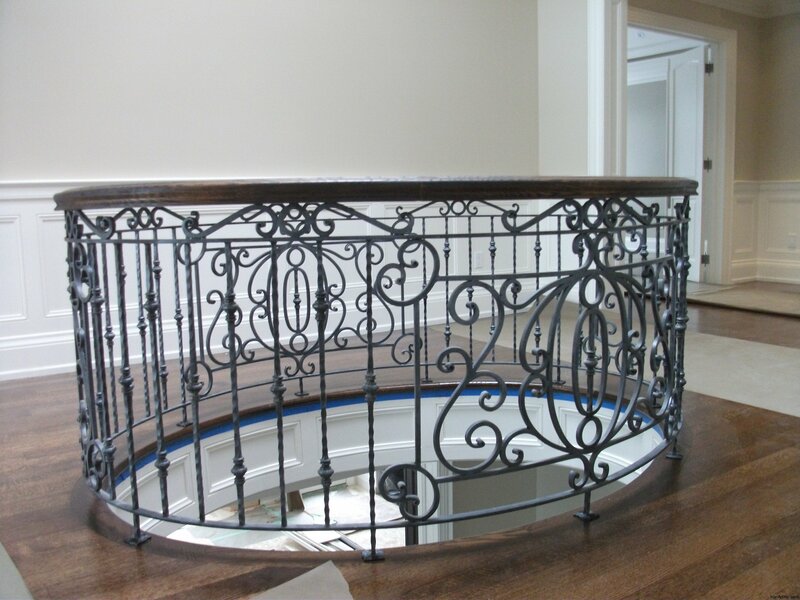 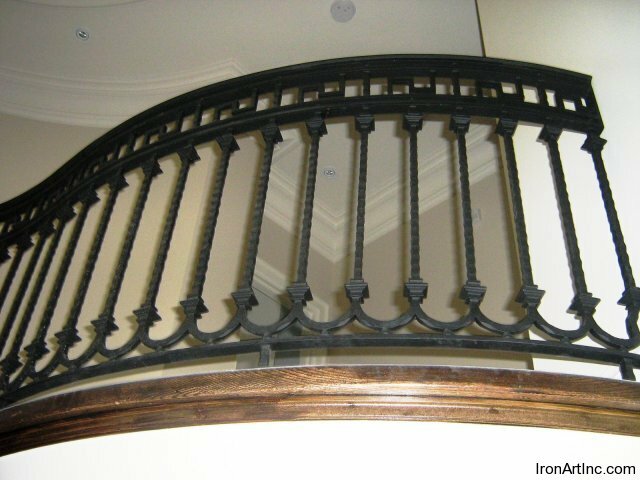 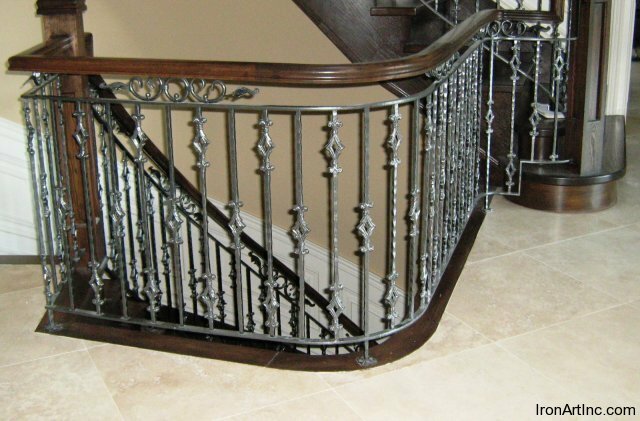 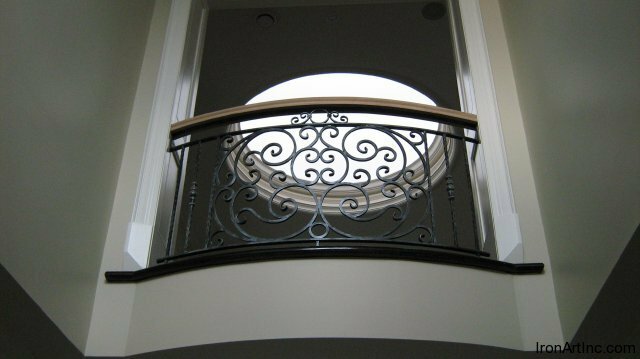 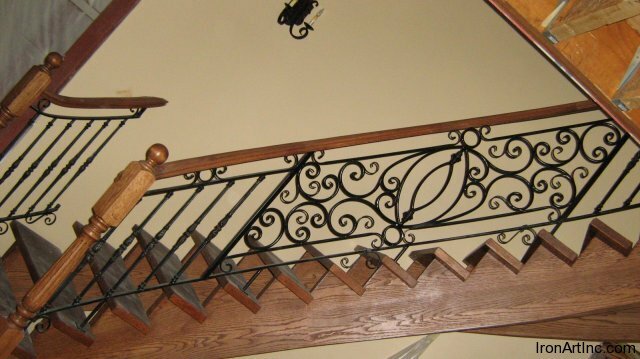 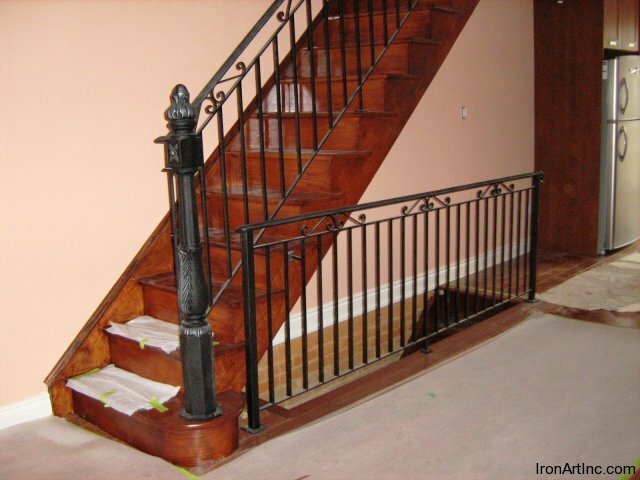 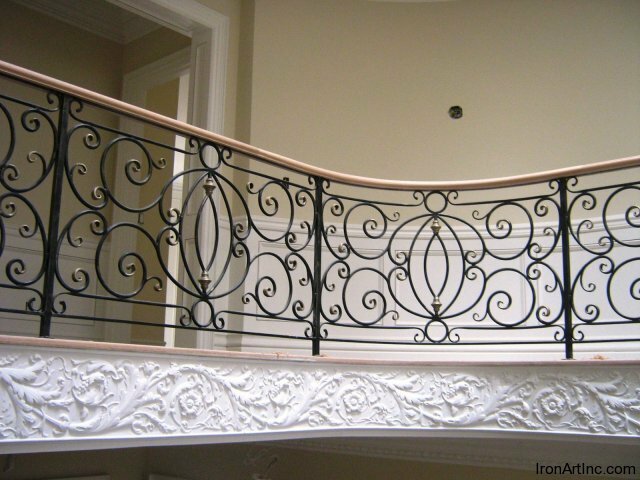 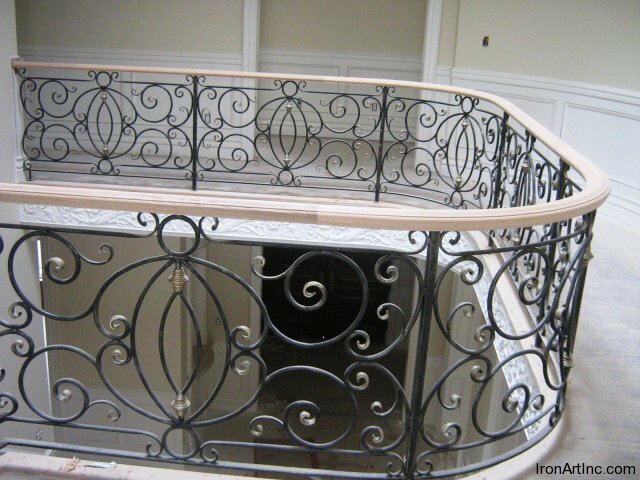 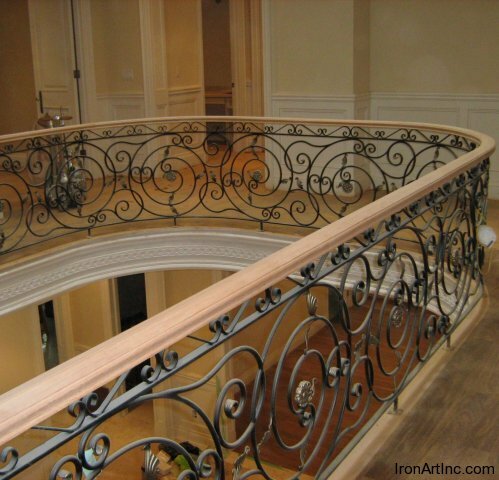 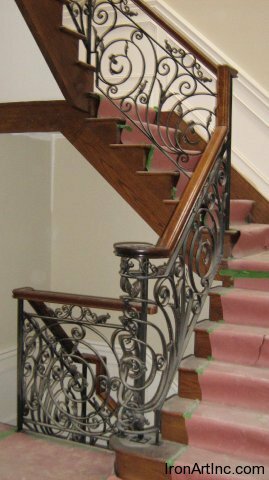 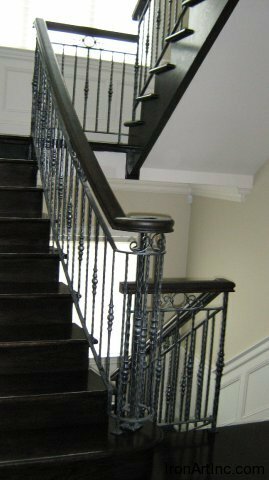 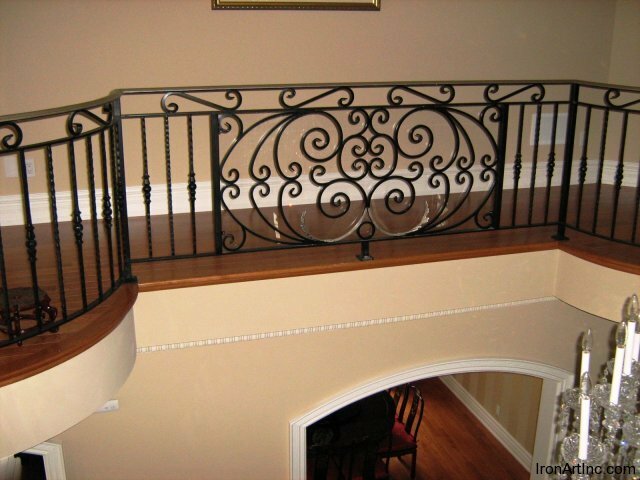 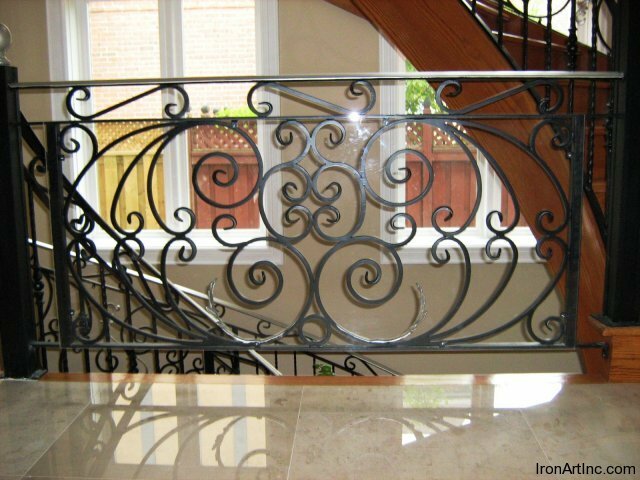 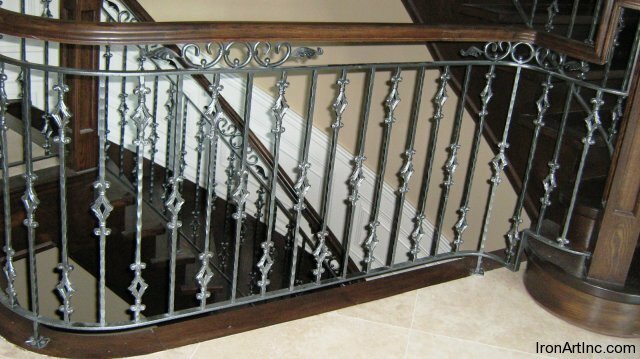 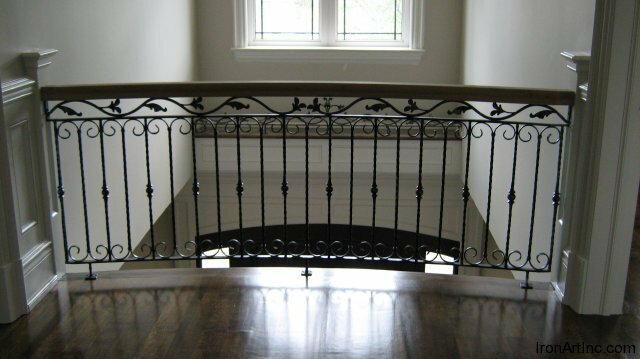 With more than 25 years experience providing quality customer service and skilled craftsmanship to Toronto and southern Ontario, Iron Art is the right choice for original wrought iron stair railings that will attract attention and envy.